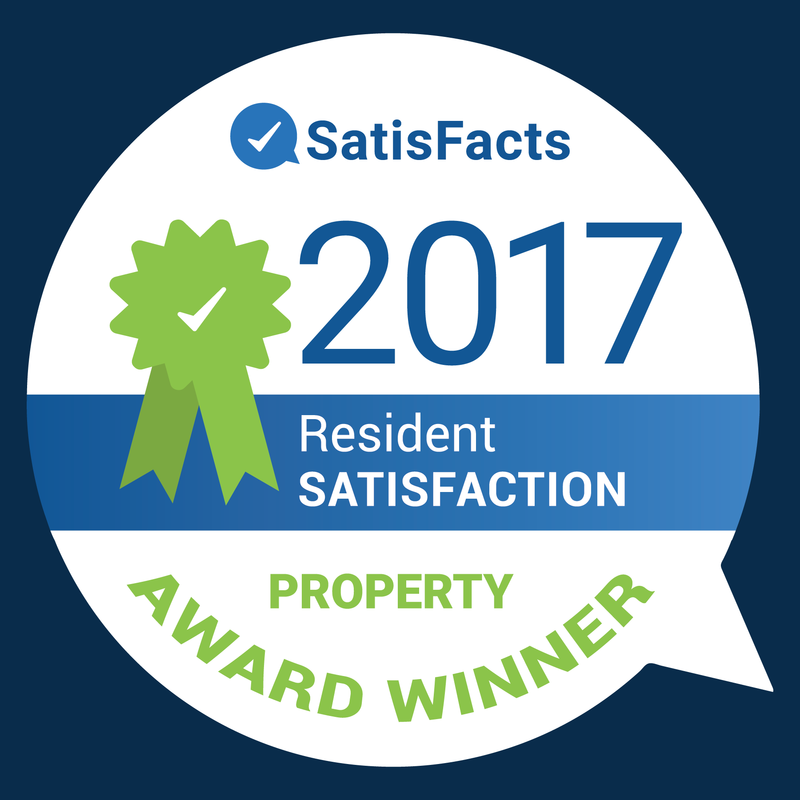 With Buckingham Companies continued dedication to resident satisfaction, we are ecstatic to announce that 25 of our properties received Resident Satisfaction Awards for 2017 from SatisFacts. Property managers and team members took strides in improving their overall customer service tactics, which resulted in the increase of SatisFacts award winners from six in 2016 to 25 in 2017. Each property received at least a 4.0 (on a five-star rating) score on their annual surveys sent out to residents and prospects with a minimum of 25 surveys completed. SatisFacts is the leading provider of resident surveys, focusing on multifamily retention and reputation management. By providing surveys to undecided prospective residents, residents after move-in, residents after service is completed in their home, and to residents near the expiration of their lease, Buckingham properties are able to keep their finger on the pulse of their customers’ satisfaction at all times. The purpose of these surveys is to provide a communication tool and customer service safety net to ensure questions, issues, concerns and praise don’t go unheard and that the team can then meet their residents’ needs. To learn more about SatisFacts, visit their website. Learn more about Buckingham Companies, and their many projects across the US.